What if you want to take a congratulatory snapshot of yourself holding a big fish in order to share it to social media, but you don’t intend to actually eat the fish you caught? What if you want to combine the relaxing nature of fishing in one of the national wildlife refuges, but don’t want to endanger the fish availability for future generations? Those are some of the major reasons why catch and release fishing practice grows in popularity, at least in developed nations where food is not scarce and education is high. You can still enjoy fishing, while conserving native fish species at the same time. In addition, catch and release requires extra skill in order to be successful, which is another fun layer of challenge you can add to your fishing hobby. How to Become a Successful Catch-and-Release Fisherman? 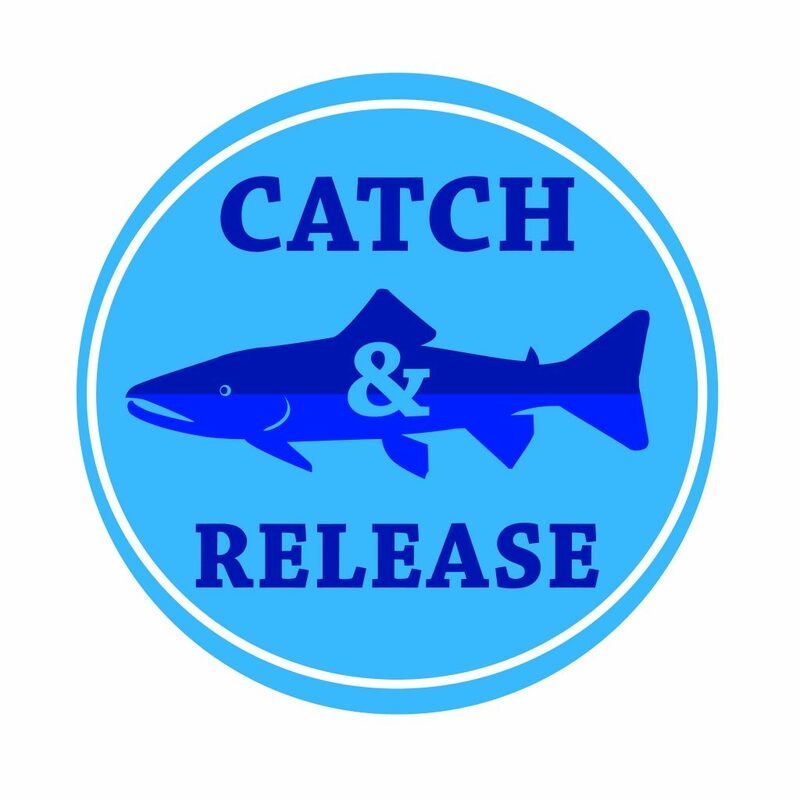 When defining success in the context of catch-and release fishing, continued survival of the fish comes first, while the catching of the fish is a secondary concern. In fact, it might be better to observe first hand an experienced catch-and-release fisherman, rather than jumping into it with only a vague idea of what works. Nonetheless, here are some must-to-do tips that will help you become a successful catch-and-release fisherman. The primary concern that must be scrutinized if you want to ensure that the fish will remain live after being caught and released, is the proper fishing gear. All the fishing components – rod, reel, and line – must be adequately strong to land the fish from the water quickly. If you engage in long struggling, you will exhaust the fish, which will drastically reduce its chance of survival. To that end, avoid using ultra-light fishing gear as it tends to prolong the struggle. Deploying non-invasive bait, preferably artificial lures or flies. Bait designed to embed into the fish’s mouth or even worse – be ingested – will surely result in the high mortality of the fish you catch, which is not the point of the catch and release fishing. Barbless hooks, hooks with crimped barbs, or single-circle hooks are more easily removed than conventional treble hooks, while also resulting in less handling time and minimizing the potential for injury. Not every time of the day is ideal for fishing, and especially not for catch and release fishing, of which the goal is to avoid afflicting stress on the fish so they can survive. If water conditions are such that they already inflict stress on the fish, like very low water flows and high water temperatures, you would not achieve much success in getting them back into the water in a good condition necessary for their continued survival. Therefore, be mindful of the state of the body of water you choose for fishing. Even if you think you know all the tricks for successful catch-and-release fishing, your muscle memory will be the most important factor, and only experience will be able to build it. However, knowing what to avoid will significantly accelerate the learning curve. Don’t wonder off. Instead, stay close and pay attention so the fish’s struggle is as short as possible and so they don’t swallow the hook deeply enough to cause injury from which they cannot recover. Quickly land the fish so it doesn’t get tired. Tired fish equals long recovery time, which equals higher mortality rate. Try new fishing techniques, like using the landing net. A landing net would drastically reduce all the three elements of a failed catch and release attempt: stress, handling time, and injury potential. This is especially relevant when dealing with larger fish. A landing net made with a large frame, shallow net, and soft knotless mesh is the best candidate to consider. Even if you have thus far avoided injury to the fish by using proper equipment, this is the critical part as it entails the removal of the hook. The total time of extraction to release should definitely by under one minute. This simple rule should be enough to reduce stress, suffocation, and injury. Have a prepared, water-filled container in which you remove the hook. Use wet or gloved hands, which will enable you to have enough friction against the fish’s mucus laden scales. Don’t tightly squeeze the fish, but just enough to not it let slip out. And never grab the fish by its gills. The best way to keep the fish calm while you remove the hook is to keep it in water upside down. Don’t rely on your fingers, but use proper hook removal tools such as a hemostat or a needle-nosed pliers. If you can’t remove the hook, leave it in, but cut the line as close to the hook as you can. Hold the fish in an upright position, half submerged into the water, and check if the ventilating gills are moving – opening and closing – just like they were after you first extracted it from the water. If possible, try to release it back into the water’s current, as this will augment the oxygenation process greatly. However, if you caught the fish in a fast moving water, try to release it in a calmer water so it has time to recover before having to struggle against the urbulent water. On a final note, if your specific goal for fishing is to take a photo of it, make sure to plan this beforehand, so it doesn’t take too much time. Remember the 60-second rule! When the fish has sufficiently calmed down would be the best timing for it. Usually, this is after you have taken the hook out. This super useful and convenient map will point out all the locations for the most optimal catch and release fishing opportunities, for the entire nation. You can find the nearest body of water, fishing gear shops, fishing forecast, and a specific fish species in each area.